What Makes a Great Racebook? Looking to play the ponies? It used to be you would have to hop in the car and drive out to your local racetrack to place a few wagers. Not any more thanks to the World Wide Web. Horseplayers can wager on horse racing safely and legally from the comfort of home. There are U.S. based Advance Wagering Deposit (ADW) companies like USRacebook that offer the thrill of wagering on horse racing from around the world with a click of a mouse. 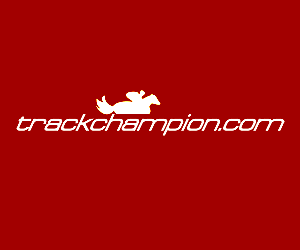 Depositing funds is easy, and USRacebook offers dozens of tracks daily, literally hundreds of betting opportunities. Along with live streaming video of all the action, your home can be turned into a Racebook 24/7. Track Content: A great ADW offers a wide variety of your favorite tracks. USRacebook offers the biggest variety of racetracks, thoroughbred and harness, as well as racetracks from around the world including Great Britain, Ireland, Japan, Australia and Dubai. Over 150 tracks and counting! Live Video: If you are playing from home, you need to see the action. A great ADW offers outstanding streaming video that allows you to watch multiple tracks at once. In addition, a great ADW offers replays to go back and watch the action you missed or to watch race replays to enhance your handicapping. Rewards: A great ADW offers a rewards or loyalty program. The more you wager the more you are rewarded through loyalty credits, rebates, and free handicapping information. Deposit / Withdrawal Options: A great ADW offers flexible deposit options including instant deposits through a checking account or credit or debit card. Other options include Green Dot, wire transfers, and deposit centers located at racetracks. With the BetCash feature withdrawals are free and processed quickly for winning horseplayers. Wagering Interface: Getting bets in easily and quickly is very important in the fast paced world of horse racing. In addition to wagering online, a great ADW offers mobile, phone and television remote control wagering.